Samsung US and CoolGames signed a partnership to provide high-quality games across + 100 MLN households in the US via their stock browser. 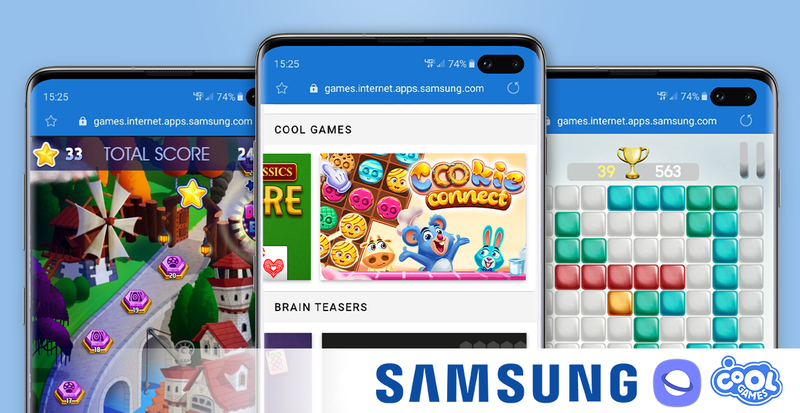 (Samsung) With this cooperation, Samsung joins the growing roster of partners that entrust CoolGames to bring their gaming brands to a mobile audience. The first games releases are; 10×10, Jewel Academy, Daily Sudoku and Classic Solitaire. More games will follow.